It’s always a great thing to connect with aritsts from around the world. Afterall, when we are professionals in our industry, we should mingle with our colleagues near and far. Connecting with others in the Art World can be especically rewarding. Not only does it give us joy to connect with others in the arts, it also gives us a glimpse of how culture and creativity are doing in other areas of the world. the esclerpatomitencia: The art of killing the dead. History: It is an exercise that utiiza media images and other registry some medieval archaeological sources, some premodern, which have little or no relevance to the historical moment in which they were developed. They, however manage to give us a sincere approach to history. Although the idea ranging from ancient history, right now I’m focusing on the 19th, 20th and 21st centuries. Artificial Intelligence: Finding cracks in the universe, focusing on the automated, I analyze in different media robotics stupidity. The piece feedback is just a microphone near a speaker. The feedback sound becomes so large that the speaker and microphone sometimes break down. Awkward voices short, they are wrong in their diction; google searches that give amazing results on the frequency of people’s emotions. About: At the age of seventeen, Andrea Alcala fled Venezuela with her family and settled in Canada to find a new home. 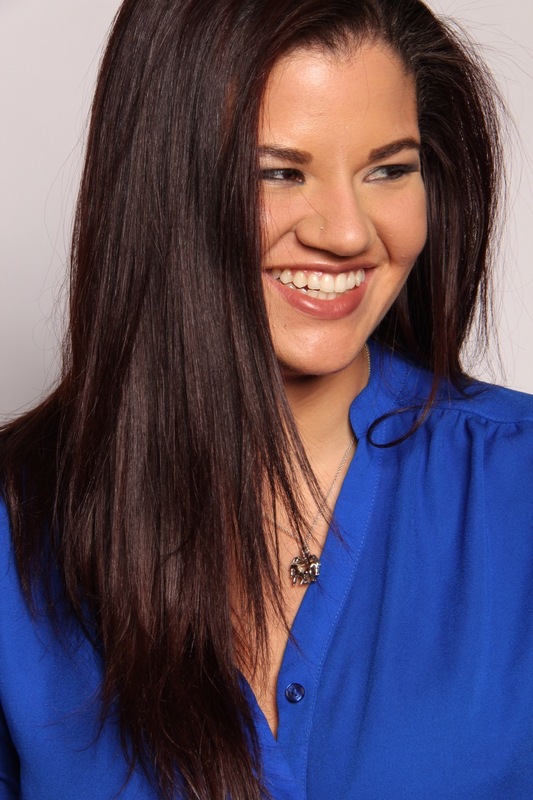 Despite the initial culture shock, Andrea developed a love for creating art in her senior year of high school, which led her to continue pursuing it throughout her life. For six years, she studied at The Alberta College of Art and Design, until she moved to Vancouver with her husband in search of greater opportunities. Today, she attends The New Image College of Fine Arts, where she is developing her skills as a makeup artist, in hopes of fulfilling her dream of working in the film industry! You can support Andrea and her work at this year’s Art World Expo. How did growing up in Venezuela affect you? Specifically, how did the change in government effect you and your family? It changed everything! I am immensely lucky for the parents that I have; they never made me and my sister feel like we were lacking anything. However, their bravery to stand up for what they believed in cost them their jobs and possibility of working anywhere else. After a few years, my mom got the chance to work in the oil sands in northern Alberta, and she didn’t think twice about it. She accepted the offer in 2006, and a year later, we moved to Fort McMurray. Personally, it made me grow up and realize that nothing is given to you in life. You have to work hard. I was twelve when my parents lost their jobs, and seventeen when we got the opportunity to move to Canada. Here, I found a new home, my passion, and the love of my life. Out of curiosity, how did you meet “the love of [your] life”, your husband? My husband, Luis, and I went to the same elementary school when we were little, and when his dad was chased out of the country, his family followed him to Fort McMurray. His dad worked with my mom in the oil industry in Venezuela, and he recommended her for the job that helped bring us to Canada. I met Luis again in high school and he helped me learn English. We’ve been together since then! We’re both huge Disney fans, so he proposed in Cinderella’s castle in Disney World. We got married in Cancun, Mexico in August 2013! When you say that your parents stood up for what they believed in (and were prosecuted for it), what do you mean? There was a presidential election in 1998 which made Hugo Chavez president, and it brought a lot of change. He slowly introduced communism to the government (masking it as socialism) and gave a lot of money to neighbouring countries, but not much to Venezuela. Those who didn’t agree with Chavez rebelled and were marked as the opposition by the government, who made it clear that they had control. People were kicked out of their homes, and protesters were fired and banned. Some were even chased out of the country! Right now, Nicolas Maduro is president of Venezuela, the country is as poor as ever. It’s making it impossible for people to leave or for any progress to happen. There’s so much more to say, but this would be as short as I can get it. What was it like to move to Canada, a country with so many differences from Venezuela? It was very hard. I was raised in a different climate, culture, language…let’s just say that everything was different. I have a very large extended family as well and lived my whole life in one small town, so when we moved, I left behind everything and everyone I knew. The first shock I had was (like in the Disney movie, “Cool Runnings”) the temperature. Then came the language, food, culture, and finally, the silence. Being used to having a large family, the silence was certainly strange. Don’t get me wrong, I’m hugely grateful for all of the opportunities I’ve gotten in my life, but I have definitely learned to adapt. Do you think that those experiences led you to becoming the artist you are today? Definitely! Silence allowed me to listen to my own voice more. I had already graduated from high school in Venezuela, but when I came to Canada I had to repeat the twelfth grade to learn English. Because of that, all I had to take was English, Math and electives. I chose Art as one of them and never let go from there. I love making things and the art of creating, itself. Why was there so much silence for you in Canada? I think it started when I said goodbye to my family. I knew I wasn’t coming back and that everything would change as soon as I stepped onto the plane. It sure did! I only had a basic knowledge of English so I didn’t speak much, and for the first couple of months it was just me and my mom. Do you still practice your South American culture, and do you think it can be seen in your work? I still eat some of the food (that I can find here), speak Spanish, and keep close ties with my family. Can this be seen in my work? I’m not sure. It’s almost like trying to notice my own accent! Some of the work I did at the Alberta College of Art and Design was political and I meant it to be that way. You’ve worked with various and unique artistic expressions. Which were your favourite, and how did you learn them? I’ve always liked trying as many things as I can. My favourite was glass blowing but I did switch it up a lot in many of my projects! I attended the Alberta College of Art and Design from 2008-2013, which exposed me to mediums I had never tried before, and mixed things along the way. How did you find the Alberta College of Art and Design, and what was your experience there like? How about your current school, the New Image College of Fine Arts? I knew I wanted to work with glass, and ACAD had a whole faculty for it! I was also living in Fort McMurray at the time, and going to a school in the same province made sense. Attending ACAD taught me a lot and certainly made me a stronger person, but my husband and I moved to Vancouver for better chances at success than we would’ve had in Calgary. I did a lot of research and was lucky to find New Image College of Fine Arts! I’ve enjoyed every moment of it and truly have my family and husband to thank for helping me make my dreams come true. You have experience with glass blowing, something that not a lot of people have practiced. What is it like, and what have you made with your skills? It’s thrilling, fascinating, and can all go wrong in one swift moment. I love glass as a medium and I made a lot functional shapes such as vases, bowls, and decorative sculptures. Glass will always be in my heart, but it’s very hard to keep up once you’re out of school. You’ve mentioned that you have a love for film. What are some of your favourite films, and which films have you worked on? I have yet to work on a film, but I want to! Some of my favourite movies include Mary Poppins, Charlie and the Chocolate Factory, Alice in Wonderland, Mrs. Doubtfire, Pan’s Labyrinth, and so many more. What are you showing at the Expo? 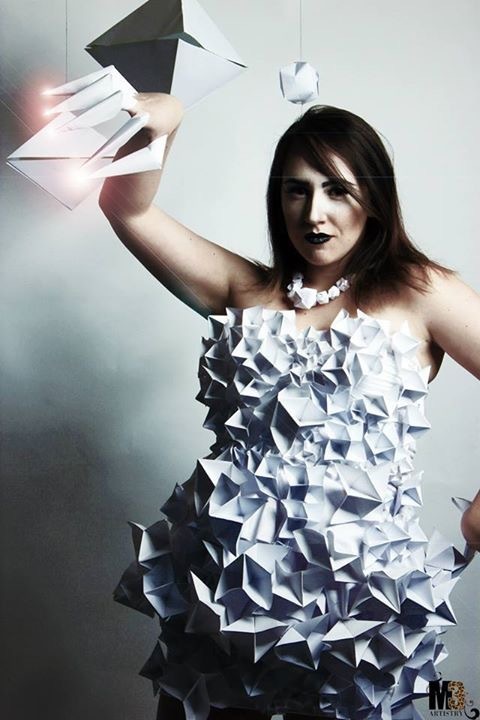 So far, I have a dress that I modified for an editorial photo shoot by adding different sizes of origami shapes all over it. I may have a couple more things, but i’m still working on it. My goal is to work in the film industry. I love beauty makeup, special effects, and prosthetics. I’m on my way to learn more about these and can’t wait to be able to do it all! Thank you to our Platinum Sponsor Twin Peaks Construction! About: Marie-Helene Babin is a professional makeup artist who specializes in body and face painting, SPFX, editorial work, bridal design, and film/television. In the past, she grew up in Quebec and worked as an illustrator. 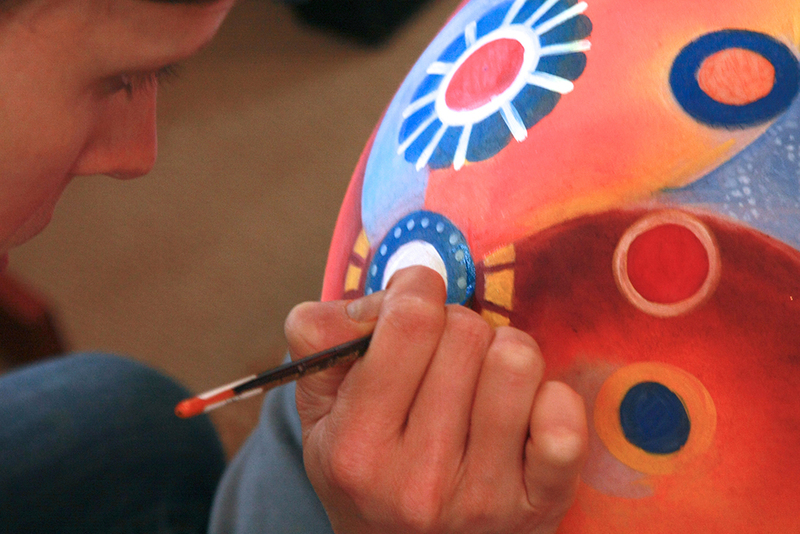 Today, she is creating art in Vancouver, with a focus on airbrushing and body painting. 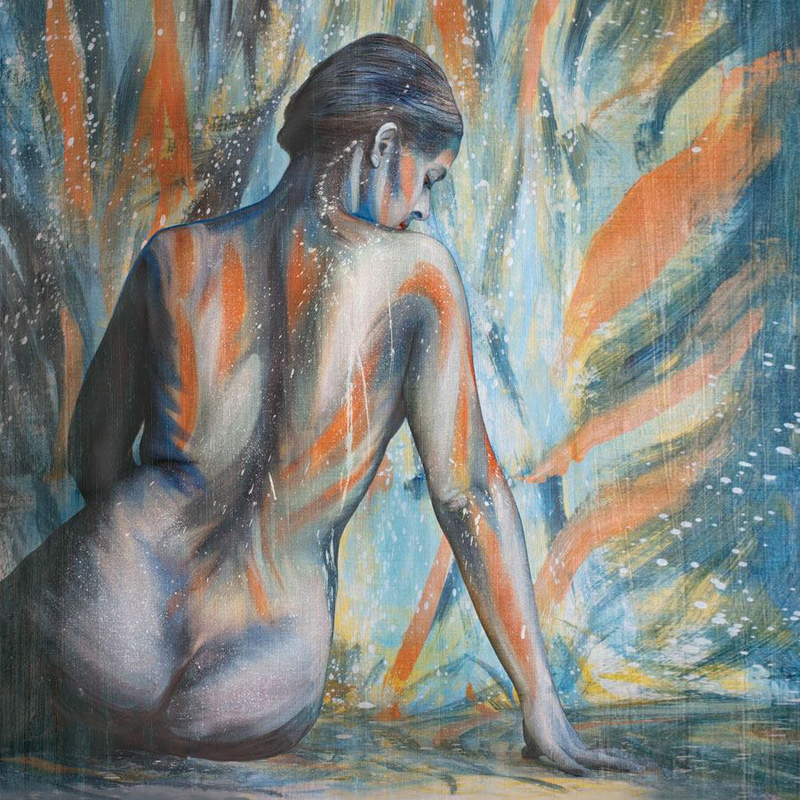 At this year’s Art World Expo, Marie-Helene will be displaying these skills! You’ve been a body and face painter for over 15 years now. How has your work and skills changed since you started? It’s changed on so many levels! I have better abilities and product knowledge now, so i’m getting greater and faster results. Going back to school also taught me different skills such as airbrushing, which I have since incorporated into my working technique. A lot of elements in my body paintings are still done by hand, but airbrushing is a wonderful tool which provides results that can’t always be achieved with other methods. I like using a balance of both techniques. Why did you move to B.C., and why did you choose to stay here? I lived in the United Kingdom for over two years before I moved to British Columbia. It was a bit of a hiatus for me, the goal of which was to discover where to take my career. During those two years, I face and body painted very little, but I attended the IMATS trade shows every year and took a film/television makeup course at the London College of Fashion. These were deciding factors in my decision to go back to school full-time for makeup and obtain my diploma. However, my Visa ran out, and coming back to Canada was the only way for me to attend school. I choose Vancouver (over Toronto) for various reasons; I wanted to study in a city where I could see myself staying, and the artistic industry, sea side, mountains, and mild winters were all very appealing reasons! It’s been a great journey so far. Did your family impact your artistry? My mother had a huge impact on me. She was a visual artist, so I grew up having access to all sorts of paints and mediums. As a result, I’ve been drawing and painting for as long as I can remember! She encouraged me to pursue my dreams, which played a big role in getting me to where I am today. What type of body and face painting do you consider your favourite or specialty? Body painting has a lot of creative options and freedom, not to mention a bigger canvas! As for face painting, well, I’m always going to love face painting. I always say that it’s like my baby. Since the age of nine, I knew I was going to face paint one day… and I did, and still do! Kids are so much fun to work with. They’re truly mesmerized by having their faces painted and it always makes me smile to see their delight! Overall, I think my that paintings tend to have a surrealist and “flowy” feeling to them. I also like details and painting them by hand. Can you describe one of your favourite projects or pieces that you’ve worked on? “A Little Bird Told Me” is probably one of my favourites. I was pleased with the overall look and the beautiful pictures that came out of it. I do like “The Octopus” and “Carnival” as well, though. It’s actually quite hard to choose! There are certain elements from each painting that I am quite attached to, such as a back painting, colour themes, or props/costumes (I make my own props and headpieces when I have the time). Body and face painting is a very ephemeral form of art; Apart from pictures and memories, there’s nothing left to cherish. You have to learn to let go of the original and all of the time you spent working on it. How did growing up in Quebec shape you as an artist? Culture and art has an important place in Quebec. The government invests a lot in the support of musicians, visual artists, actors, dancers, and so on. Many small galleries have emerged, artist studios and music festivals are affordable, and therefore, we can access art very easily. What did attending Blanche MacDonald Center do for you as an artist and individual? It inspired me to take my art to another level and it made me realize that I didn’t necessarily want to choose a specific area to work with. I love all aspects of makeup, whether it be an editorial shoot, a commercial, or a body painting. 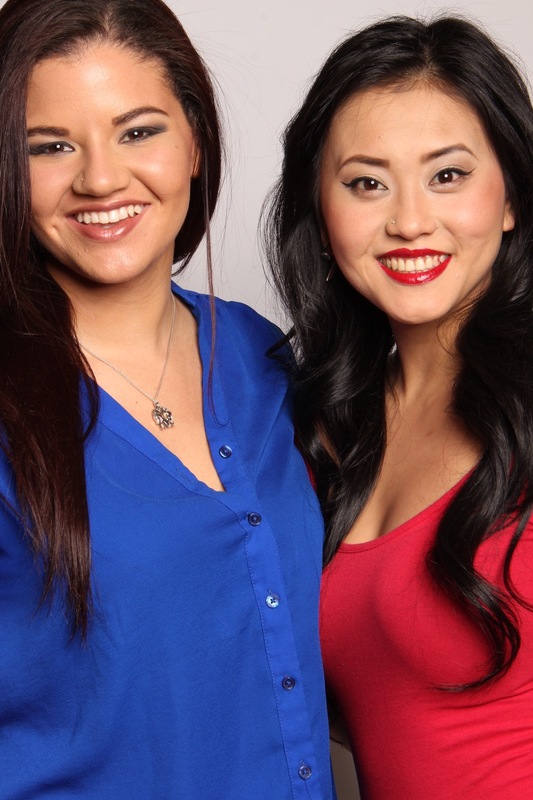 I really enjoy the diversity that makeup has to offer and the different people you get to work with. That’s why I choose this field. You also work in illustration. What sort of projects do you like to work on illustrating, and what draws you to it? My style is mostly surrealist. I enjoy using pens and ink a lot, and I also paint with acrylics. Lately, makeup and body painting has been taking a lot of my time and energy, and I had to put my visual artwork on the back burner for a while. Still, I do have a painted series on wood panels that I started a couple of years ago. I would love to finish it and exhibit it in a gallery eventually. What is it like to work on a film set, and have you worked on any well-known productions? I enjoy working on sets, despite the very long hours! I’ve worked on small and bigger ones: a few well-known television series last year, and also a lot of smaller commercials and videos. Seeing the behind the scenes has always fascinated me, whether it be for a film or a stage production. It’s captivating to see how it all comes to life! 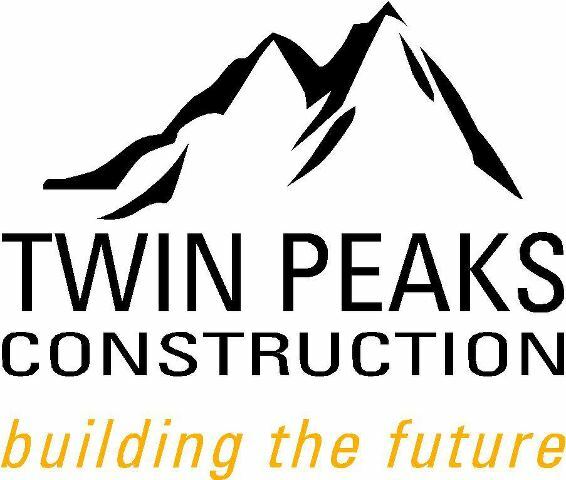 Thank you to our Platinum Sponsor-Twin Peaks Construction!